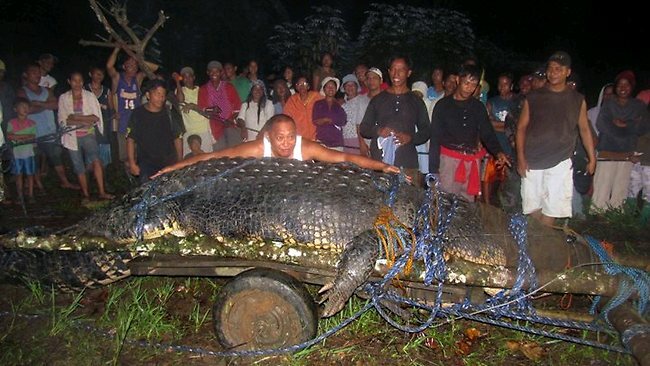 GUINNESS World Records has declared that a huge crocodile blamed for deadly attacks in the southern Philippines is the largest in captivity in the world. The�giant reptile has brought pride, fear, tourism revenues and attention to the previously little-known town where it was captured last year. Bunawan Mayor Edwin Cox Elorde told The Associated Press today that he was notified by Guinness of the giant reptile's new distinction last month. The news sparked celebrations in his town of 37,000 people and concerns that more giant crocodiles might be lurking nearby.